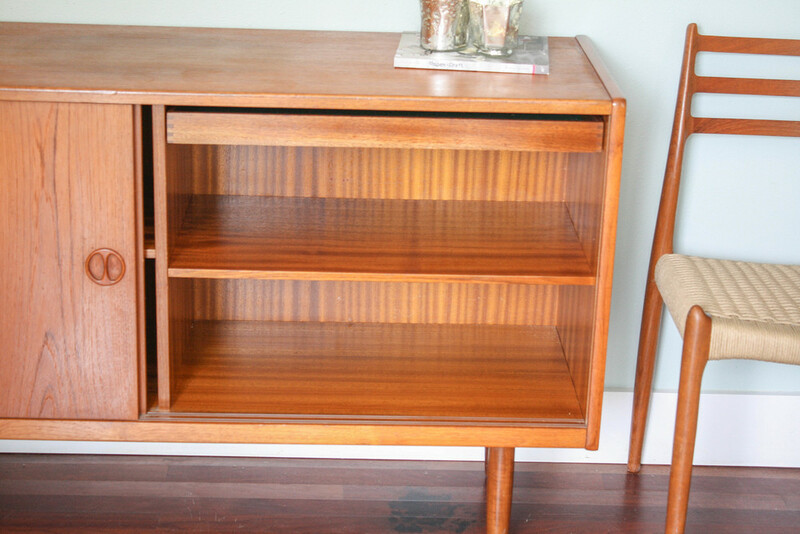 A beautiful Danish teak sliding door credenza by Jydsk Mobelindustri with original foil label on the back. 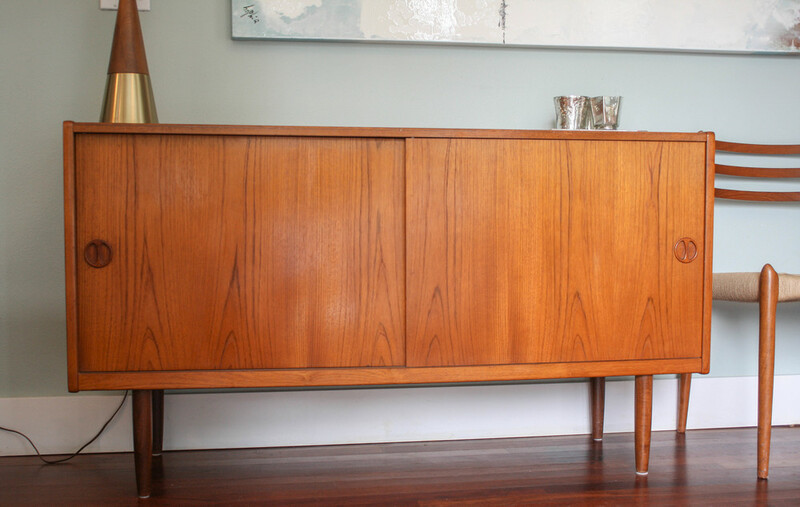 Known for quality craftsmanship and design, this credenza will serve as the perfect accent piece for you space. Features beautiful, teak sliding doors that open to reveal adjustable shelving to maximize your storage options. Behind the right sliding door is a single felt lined drawer and another adjustable shelf.